When it comes to getting published in academic journals, every scholar has to start somewhere. For researchers, their first journal submission can be a nerve-wracking endeavor, especially since most find themselves trying to learn the ins-and-outs of submitting to an academic journal and the peer review process on their own with little formal guidance. All challenges aside, tackling that first journal submission can also be a great learning experience for scholars, particularly graduate students working on their PhD thesis. For Julien Varennes, a physics PhD student at Purdue University, the process of submitting a review to an academic journal helped him to not only get hands-on experience dealing with the technical requirements of preparing a review for publication, but to also expand his knowledge of his research field. Check out what Julien had to say about his experience getting published for the first time. Can you briefly explain your first academic journal submission? JV: My advisor and I were invited to submit a literature review to “Physics-inspired Micro/Nano-therapeutics,” a special issue of the American Chemical Society (ACS) journal Molecular Pharmaceutics. A research collaborator of ours invited us in August to submit a literature review by December, and my advisor asked that I take lead on the piece. The final article we submitted is entitled Sense and sensitivity: physical limits to multicellular sensing and drug response. How did you go about preparing your submission? Did you have contact with the journal throughout the process? JV: The only contact I had with the journal beforehand was a letter from one of the editors of the special issue stating our invitation to submit by a certain deadline. I realize this is more contact than most authors have with the journals they want to submit to, but I don’t think it necessarily made writing the article any easier! As a physics graduate student who has been conducting research for only about a year, it is not typical to write a literature review on the subject you’re studying before having published any work in that domain. That said, being asked to write this review felt like a daunting task. I needed to do an expansive literature survey to make sure I understood the state of the art of the field in order to write with confidence. My advisor and I worked together to create goals and outline milestones for the review’s progress as the deadline neared. Something that was nice about having a due date for the article was that in some respects the deadline was like a light at the end of the tunnel. I can imagine that writing an unsolicited article may seem more overwhelming because you’re working on your own timeline, and might feel prone to taking longer with the thought that more time will lead to a better article. Something I think might be helpful for students submitting to a journal for the first time without a due date is to set their own internal deadline so that they can have an end point to look forward to as they work. Is there anything you learned while working on your review that would have been helpful to know in advance? JV: Looking back on the process of composing my first submission, there are some things - both technical and knowledge-based - that I would have benefited from knowing before starting the paper. First, having a working knowledge of LaTeX, BibTeX, and also of some computer graphics software would have been enormously helpful. The review was written in LaTex and citations managed with BibTeX, so having a prior working knowledge of those would have been helpful. Instead, I had to learn as I went using the internet as my guide. The LaTeX wikibook as well as the TeX Stack Exchange were the most helpful resources I used. Making figures for the review was something else I had to teach myself. I learned the basics of Inkscape (a vector graphics software package) by watching an introductory tutorial of Inkscape on YouTube, and was ultimately able to make the kind of figures I wanted to include in my article. What was the actual submission process like for you - do you have any tips for authors to ensure things go smoothly? JV: When it came time to submit my literature review, the actual submission process did not take very long - maybe a couple hours. My review was submitted using the source TeX files. A brief cover letter was also required along with a list of suggested reviewers. I did encounter some technical problems when I wanted to upload a preprint to the arXiv. The actual submission process to the arXiv is very straightforward, but once the review was uploaded I realized that some of the figures I had created did not properly render when viewed in most web browsers. This required saving the figures I made in a different file extension (.png instead of .pdf) and uploading a new version of the preprint to the arXiv. I think this was a problem caused by the figures outputted by Inkscape and not something on the side of the arXiv. Of course, from this situation I would advise anyone to really check over every aspect of their submission before pressing send to make sure everything is the way it needs to be. Things can happen in the upload process so really look over your final submission carefully to catch any glitches. What was your overall experience writing a literature review - do you think other graduate students could benefit from seeking the opportunity to do the same? JV: Overall, the opportunity to write a literature review has been beneficial to the progress of my PhD. Generally, being published in an ACS journal will strengthen my research portfolio. More personally, writing the review on a deadline while also keeping up with my own research was an exercise in the balancing act that is academia! The review was difficult to write, to say the least, but taking the time to write it has also helped me as I am currently preparing for my preliminary exam. Writing the review required me to gain a deeper understanding of my field, which has helped me better frame my PhD thesis and understand how it fills a gap in knowledge in the field of biophysics. Although the opportunity may be rare, I would definitely recommend writing a literature review to another graduate student. It may - and probably will - seem overwhelming at times, but in the end, you really will feel more confident in your understanding of your field and your future research projects. I would also encourage more graduate research advisors to offer literature review opportunities to their graduate students. Most literature review invitations are given to established researchers because their experience and existing knowledge of the state of the field makes them the default options. However, I think graduate students would be eager authors of literature reviews, and could potentially offer different insights to literature reviews since they tend to not be as bound - an effect merely of their lack of experience! - to any one theory or practice. 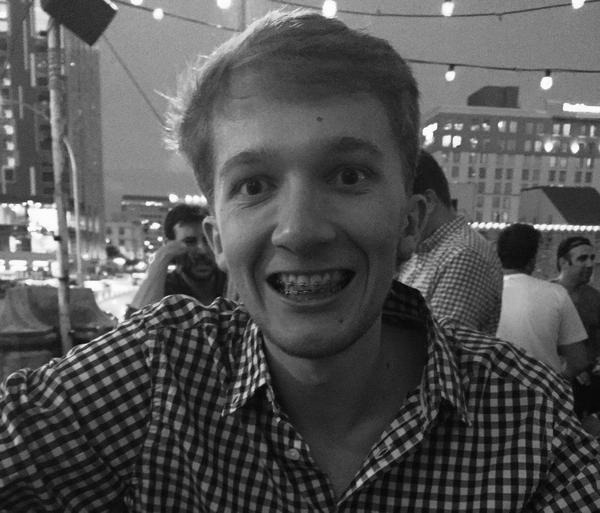 We're excited to welcome Alexander Grossmann to The Open Access Stories blog series! Share this story and your own on Twitter by using the hashtag - #MyOAStory. One of the founders of the open access movement Stevan Harnad discusses how he began working to make scholarship open, why he supports the green OA model, and his hopes for the future of OA. Open access news took center stage this month, as academics from around the world came together to celebrate the 8th annual global Open Access Week.